Equal parts upscale residential area and hipster hangout, the Ari neighbourhood is home to a selection of great restaurants and cafés. Although it’s off the typical Bangkok itinerary, Ari (also sometimes spelt Aree) has a lot to offer for visitors to Bangkok seeking a quieter side of the city. Ari is located to the north of Victory Monument and is easy to access via the Sukhumvit Line of the BTS Skytrain. Although you’ll first notice La Villa and Phahayolthin road as you arrive in Ari, the real attractions here are along Soi Ari itself and down the neighbourhood’s many quiet tree-lined side streets. Excellent cafés and restaurants are plentiful in Ari, as are boutique shops. 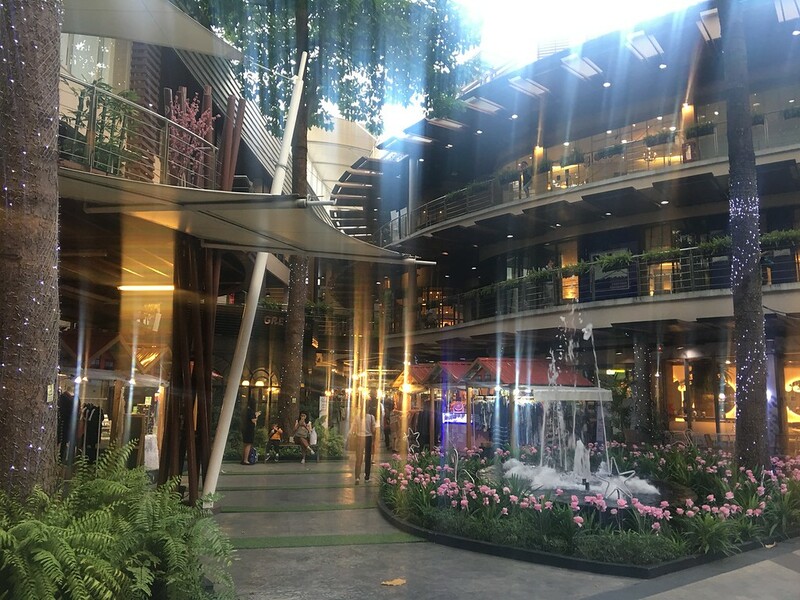 La Villa, an outdoor shopping mall located beside BTS Ari, is home to an international shopping mall and a typical assortment of Thai chain restaurants and cafes. The world famous Chatuchak market is only 2 stops away from Ari on the BTS, making this neighbourhood a great place to stop going to or from the market if you’re in need of somewhere to eat. As Ari’s rapid gentrification and explosion of restaurants, cafes and bars continues, the neigbouring Saphan Kwai area between Ari and Chatuchak is transforming from gritty working-class Thai neighbourhood to a Thai hipster and cheap backpacker area, especially around the intersection of Phahayolthin and Sutthisan Vinitchai Road. It’s definitely worth checking out Saphan Khwai if you’re exploring Ari. If you’re looking on a map, Soi Ari is formally known as Phahayolthin 7 – check out the Travelhappy Soi Ari Google map further down the page. Soi Ari is home to a huge range of street food vendors serving fresh Thai food. 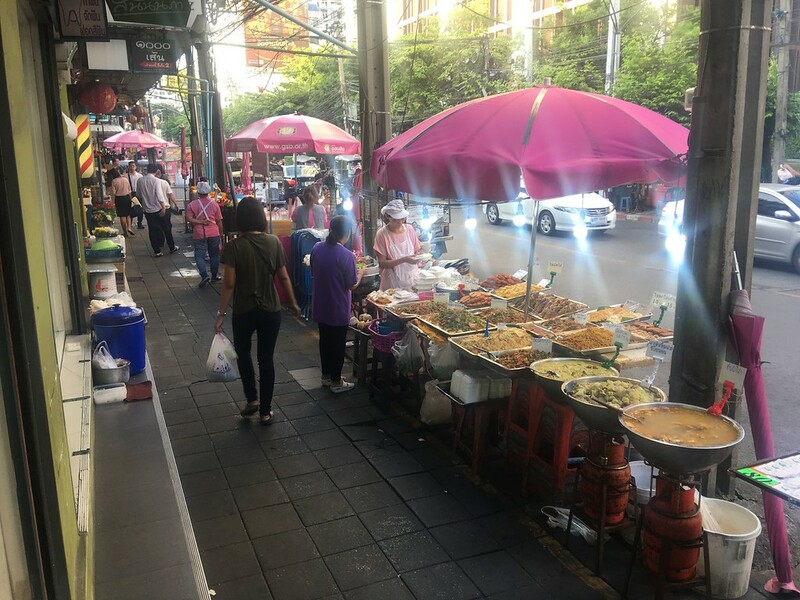 Drop by after 4 pm to catch Soi Ari’s street food scene at its busiest, with workers from the nearby offices and government buildings visiting after work for inexpensive, tasty Thai food. 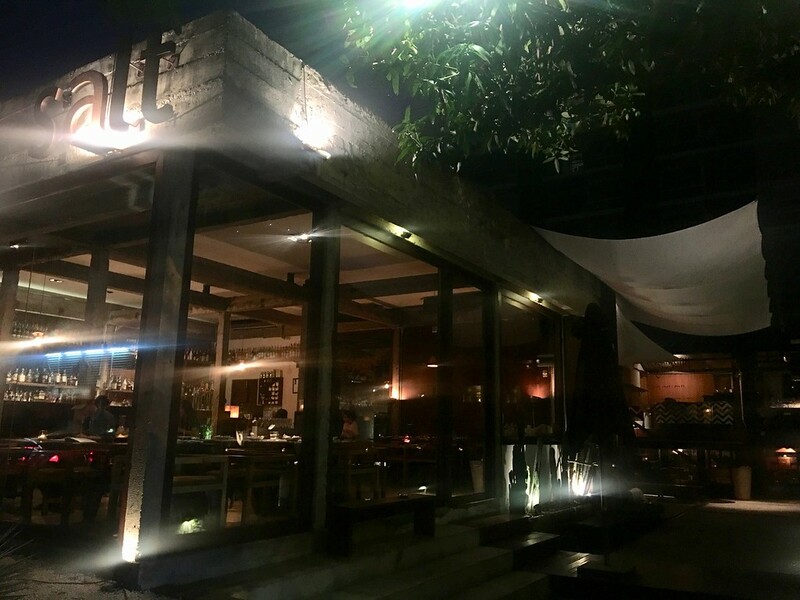 A neighbourhood favourite, Salt serves a great mix of Japanese and Italian food in a sophisticated interior and a spacious open air setting on Phahonyothin Soi 7. Authentic Italian pizza, a huge selection of cocktails and excellent desserts make Salt one of Ari’s best places to eat. Solid sushi joint with an up-market feel but without being too painful on the wallet. There are plenty of seats for solo diners who can watch the chefs at work plus tables too. Booking ahead recommended if you plan to go at peak times. 10% discount if you pay with cash. See also nearby Sousaku for another sushi alternative. Lay Lao mixes fresh seafood and Isaan favourites, complete with a stylish modern interior. A favourite of local students and families alike, this basic but stylish eatery is located on Phahonyothin Soi 7. Set inside a vintage Thai townhouse on Phahonyothin Soi 7, Fatbird serves a variety of Thai and Western dishes. Tasty food and a great selection of cocktails make this small, charming local restaurant a favourite of Ari residents. Tucked away down Ari Soi 5, Hanazen is a Japanese restaurant and sake bar with a huge menu, refined interior (think white walls and dark wood) and great service. There’s an extensive Japanese craft beer menu too. There are two Paper Butter Burger places – one is a small stall set up in the food court very near the top of Soi Ari (just behind Never Say Cutz hairdressers). The main Paper Butter Burger venue is on Phahayolthin 5 in front of The Yard hostel, bordering a pleasant garden to sit in of an evening and enjoy these excellent burgers. Pla Dib serves a huge range of fusion dishes, from Japanese-inspired Thai food to classic Italian pizzas. Dine indoors or, provided the heat isn’t too intense, sit outside and enjoy an extensive selection of Thai, Japanese and Italian-inspired fusion dishes. Famous for its Pad Sahm Menh — literally “three smells, stir fried” — Baan Peung Chom is an ultra-popular Thai restaurant on Phahonyothin Soi 7 (Soi Ari). With an excellent menu and a relaxed setting, Baan Peung Chom is always popular with Ari locals. Located on Phahonyothin Soi 9, Flow serves a Thai/Western fusion menu made up of comfort food and classic Thai dishes. A popular post-work dinner and drinks spot, Flow is usually busy serving Ari’s young urban professional crowd. Located inside a classic Thai home, Baan Mae Yui serves a selection of great Thai dishes in a relaxed, residential setting near the Ministry of Finance building. Sit outside and enjoy great, unpretentious Thai food in a green and natural setting. Casa Lapin is one of Bangkok’s most fashionable coffee chains, with two branches in the city’s hipster hotspot of Thong Lor. The Ari location is easy to find on the ground floor of the Noble Reform condo building, with a great selection of coffee and café treats on offer. Puritan specialises in desserts. With decorations that make it feel more like a European home than a suburban café, Puritan’s mix of interesting decor and tasty cakes, tea and coffee make it a popular spot for Ari locals to enjoy dessert on Ari Soi 5. One of Ari’s most popular cafés and eateries, Porcupine Café is located in a new, bigger space on Ari Soi 4, after relocating from Soi Ari itself. With a wood and cream-coloured interior, Porcupine Café is a great place to relax with your laptop or a good book. Creative space FabCafé is located on Ari Soi 1. Doughnuts, cake and macarons are just a few of many sweet treats available alongside a great coffee menu and a DIY sandwich and salad selection. Located on Ari Soi 1, My Coffee specialises in what you’d expect it to: coffee. Alongside an excellent selection of coffee starting from just 50 baht, My Coffee also serves a selection of café treats, including excellent pancakes. One of Bangkok’s hippest independent coffee shops opened a branch in Ari – it’s an airy modern space incongruously set in the lobby of a condo. It’s located just along from Ari BTS station on the main Phahayolthin road. Despite the name, Hor Hidden Café is easy to find. This charming café and eatery was originally located down a small alleyway off Ari Soi 1, hence the name, but has now expanded to have its own full restaurant shopfront so you can’t miss it. Food is much more than the usual café fare – this neighbourhood cafe also serves pizza and great steaks. Up until recently, Ari only had a handful of modest guesthouses and hostels. Now there are several boutique and business hotels with more on the way as Ari continues to become popular with Thais and tourists alike. Right in the centre of Ari, Hotel Josh’s location is unbeatable for exploring the neighbourhood. There are at least 30 Ari restaurants, cafes and bars within 5 minutes walk of this boutique hotel, as is Ari BTS station. Hotel Josh has an elegant, retro-cosy feel to it and there are Japanese and Thai restaurants located within the hotel which are popular with both hotel residents and locals. A boutique resort with low-rise blocks of rooms grouped around a large central pool, The Craftsman’s rooms have a bold, Japanese-tinged aesthetic emphasising stripped wood and a calm vibe. Located on Phahayolthin 11, The Craftsman is the sort of place you could hang out all day. Ari’s first business hotel, The Quarter perches atop the gleaming new mixed-use Ari Hills skyscraper. The Quarter’s cool and clean aesthetic is what you’d expect from a four-star business hotel, and the Starbucks, pub, restaurants and 7-11 on the ground and first floors of the building add to the convenience. Ari Hills is 5 to 10 minutes walk from Ari BTS station. Baan Nueng Service Apartment is a comfortable serviced residence on Ari Soi 5. Rooms are spacious and comfortable, with modern furniture. The hotel’s location is good and bad — it’s a 10 minute walk from the BTS, but this means it’s incredibly quiet and peaceful. Vic3 Bangkok is a comfortable three-star hotel on Phahayolthin Soi 3. Located a short walk from BTS Ari, it offers a combination of quiet, relaxing Ari living with a great location perfect for getting around Bangkok with ease. Bangkok Patio Apartment is a three-star serviced apartment on Phahonyothin Soi 3. Rooms are modern and nicely furnished, and the hotel offers a free tuk tuk shuttle service to nearby BTS Ari, making it easy to get around Bangkok. Abloom Exclusive Serviced Apartments offers a range of serviced apartments ideal for solo travellers and families alike. The apartments range from studios to three-bedroom units, and the complex’s swimming pool and fitness centre make it a great place to relax and unwind. POD Hostel Café Design Shop offers inexpensive Tokyo-style sleeping capsules close to the BTS Skytrain. Although the accommodation is somewhat cramped, the hostel’s common area on the fourth floor is a great place to relax, browse the Internet and plan your trip. Lots of Ari’s top restaurants double as its most popular nightspots. Salt’s outdoor area is great for people watching and relaxing with friends, while Fatbird’s great cocktail menu makes it one of Ari’s most popular places to socialise after sunset. Located next door to the Noble RE:D condo building on Ari Soi 1, O’Glee is a comfortable red-brick bar specialising in beer and indie tunes. With a continually changing craft beer on tap and many more bottled beers available, O’Glee is an excellent choice for drinks and bar snacks in Ari. This is actually the same place as Casa Lapin cafe, but in the evening the cafe starts selling a multitude of craft beers on top. There’s at least 10 draught beers at any one time. The only downside is that it’s expensive and the glass sizes are small. Open from 5 pm, Jim’s Burgers serves great burgers and a fantastic selection of beers. The huge selection of draft and bottled beers makes Jim’s a popular spot for drinks and comfort food after work. 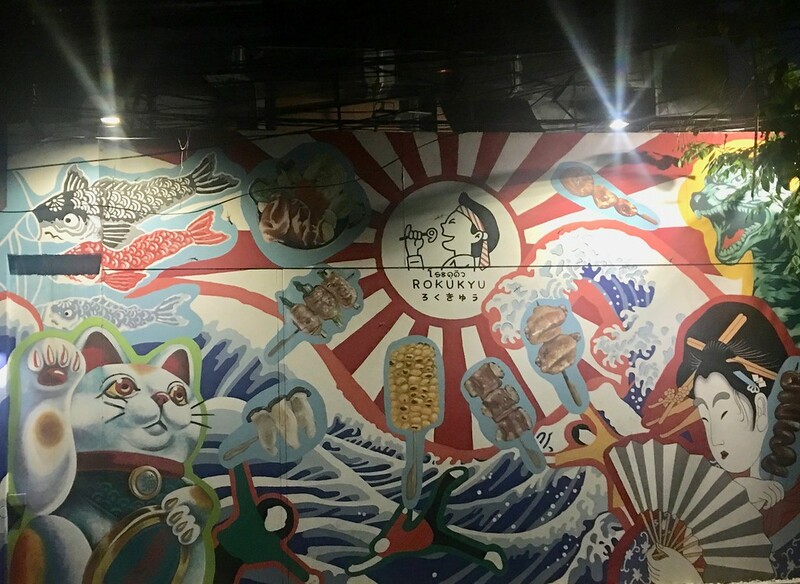 Izakaya Ryoma is very basic (think unfinished cement floor and tables built from packing crates) and located at the far end of Rama VI Soi 30, next door to the Belgian Beer pub. If you want lashings of beer and Japanese snacks, this is where to come. Upmarket bar chain HOBS (House of Beers) has two branches in Ari. 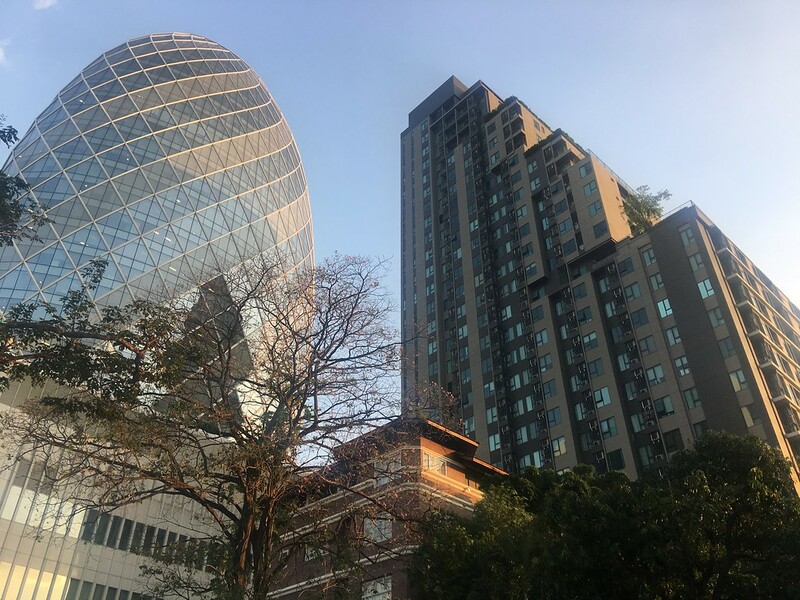 The bigger of the two is located in Aree Garden on Rama VI Soi 30, while the second — called HOBS Away — is easy to find inside La Villa Aree beside Ari BTS Station. La Villa Aree is an open air community mall located next to BTS Ari. Home to a selection of cafés and restaurants, it’s a great place to relax with a good book, socialise with friends and dine out for lunch or dinner. Boutique shops, fantastic cafés and restaurants and an outdoor market make Aree Garden a great place to relax and shop. Located on Areesampan Soi 11, opposite the Thai Ministry of Finance building. 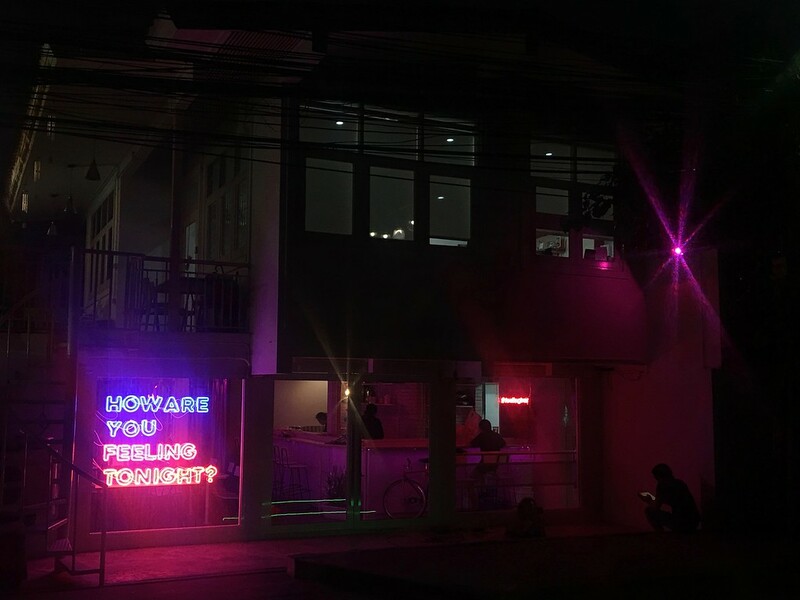 Located on Ari Soi 5, NumThong Gallery at Aree is a cosy art gallery that provides exhibition space to some of Thailand’s most acclaimed visual artists. The gallery hosts a range of new exhibitions every year from Thai and international artists. Dubbed “Bangkok’s happiest gym” by its members, Ari School of Fitness is one of two CrossFit gyms in Bangkok. Located down Ari Soi 3, this open air gym contains a training course and a large swimming pool. Open to members and drop-in customers. Ari is extremely easy to reach using the BTS Skytrain. 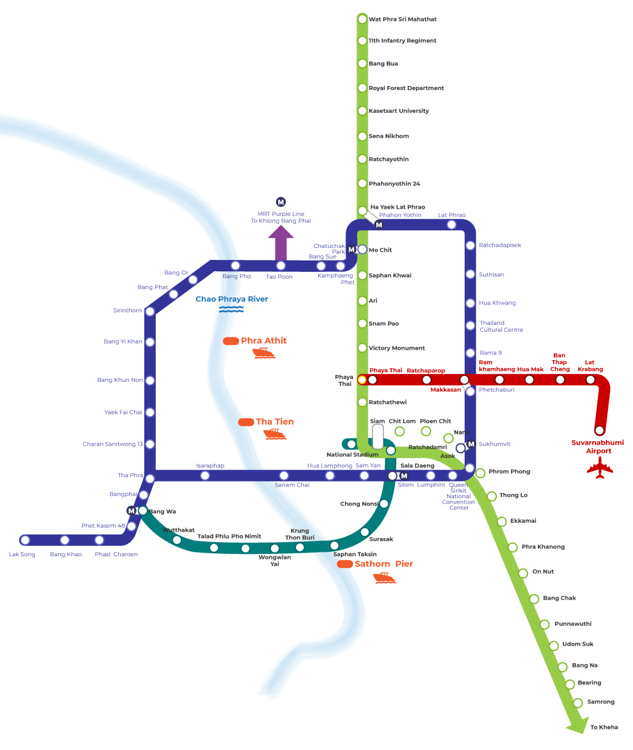 Take the Sukhumvit Line towards BTS Mo Chit and get off at Ari Station (N5). Go out of Exit 3. At the bottom of the stairs, doubleback on yourself and walk 20 metres along Phahayolthin Road and you’ll then turn left into Soi Ari. Ari is two stations away from Mo Chit, making it easy to get to Ari after transferring off the Bangkok MRT at Chatuchak Park Station.